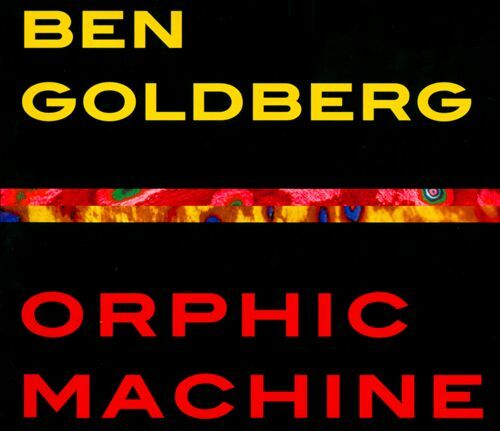 Orphic Machine is an ambitious project from clarinetist/composer/bandleader Ben Goldberg, which is arguably a way you could describe any Goldberg project, but he reaches both further out and further back to find his chief motivation this time. 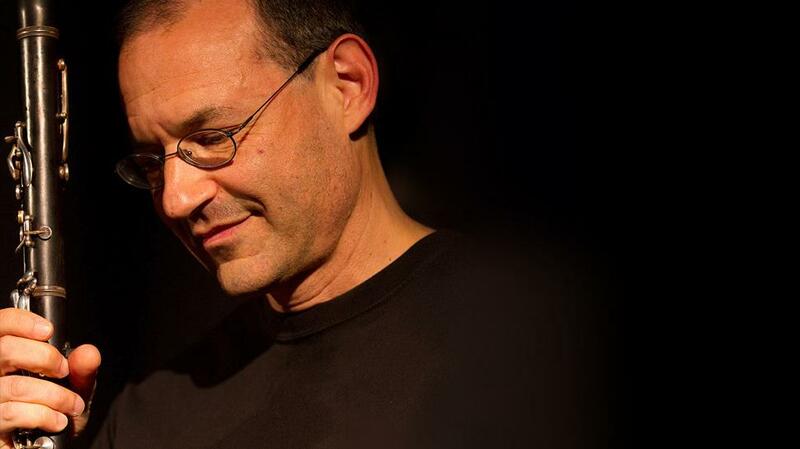 Instead of taking his primary cues from a music beacon like Steve Lacy, Thelonious Monk, or even Bob Dylan and Sebastian Bach, Goldberg found inspiration from an old college professor back at Brandeis University in the late ’70’s. Back then, poet Allen Grossman taught a course on “The Representation of Experience” which introduced Goldberg to the idea of thinking about things unconventionally. 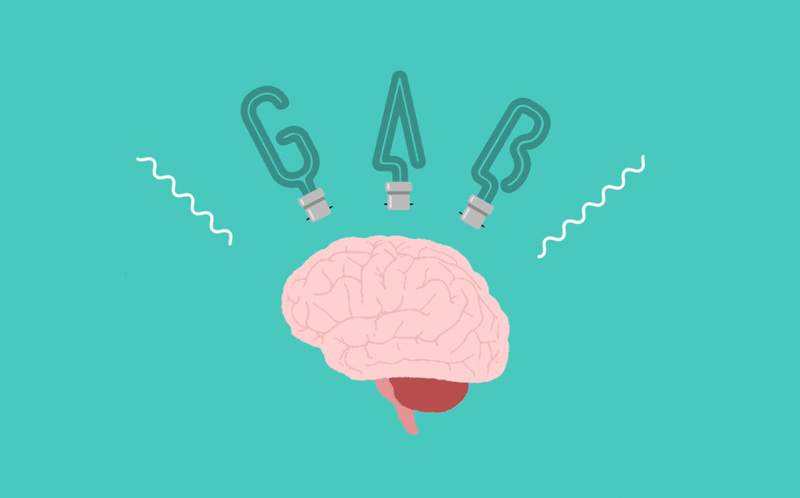 Those ideas planted seeds in the young Goldberg that never left him, but also became more poignant during a recent period of deeper reflection. That’s when he decided to revisit Grossman from both his personal recollections and Grossman’s book of maxims The Sighted Singer: Two Works on Poetry for Readers and Writers — a sort of poetry about the role of poetry in mankind — to craft a set of music around these powerful precepts. Since this is an album built around philosophical poetry and Goldberg is an instrumentalist, it presented a special challenge to Grossman’s former student; though one he’s not unaccustomed to facing. It’s the way he met the challenge that makes Orphic Machine (on sale from BAG Production Records/Royal Potato Family) succeed as a musical tribute to the ideas he encountered over thirty-five years ago. First, he needed Grossman’s verses to be recited in such a way that the words and the melodies blend into a seamless single being. Enter violinist Carla Kihlstedt, whose breathy, lithe delivery brings to life the words, singing them as if it were another instrument. For this endeavor, in fact, there are an assemblage of exceptional musicians but knowing Goldberg’s career, he clearly picked them because his deep familiarity with them and trust in them, another key ingredient that makes this abstract idea convert into concrete results. 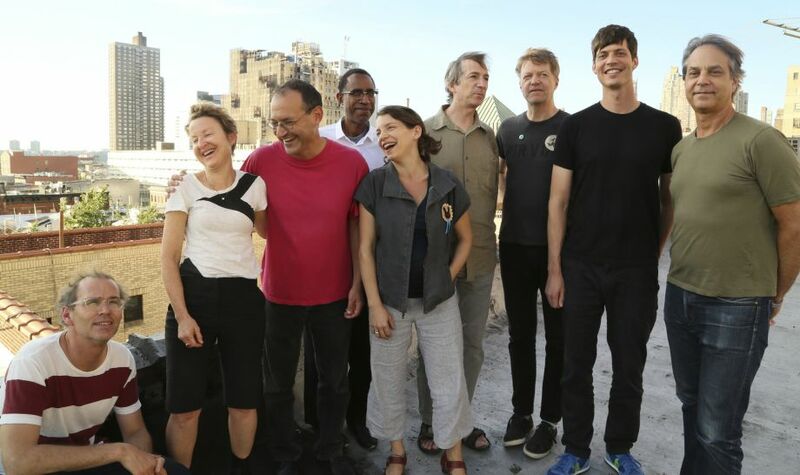 Joining Goldberg’s clarinet and Kihlstedt’s violin and vocals are Ron Miles (trumpet), Rob Sudduth (tenor sax), Myra Melford (piano), Nels Cline (electric guitars), Kenny Wollesen (vibes), Greg Cohen (bass) and Ches Smith (drums). Goldberg knows exactly how to deploy all this talent at his disposal, where everyone gets solos but it never feels like they are the variety; it’s all part of the overall fabric of the music. 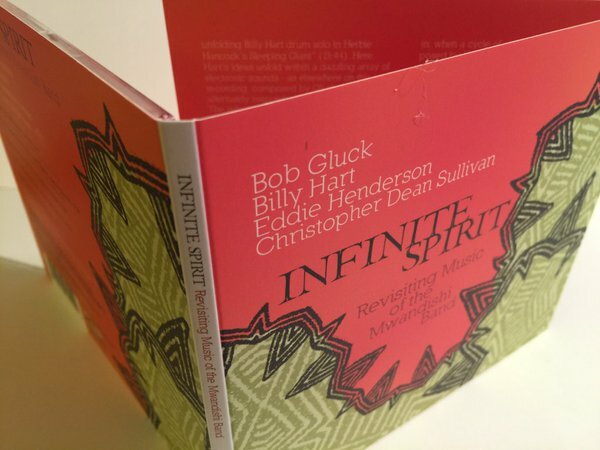 Often more prominent is how, in using jazz and classical music arrangement techniques, they work together to form the complex character of each of Goldberg’s compositions, each of which slices across musical boundaries in forming mini-suites on every track. Take, for instance, “Immortality,” beginning with Cohen’s ruminative bass figures, segueing into a soft march to match Kihlstedt’s floating recitals, and a chamber sequence sandwiched a rock shuffle that thanks to Cline’s rhythm guitar sounds not too unlike the Rolling Stone’s “Beast of Burden.” Gradually, a dominant note emerges, seemingly from Wollesen’s vibes and gets increasingly insistent as one by one everybody joins in playing it to bring the song to a rousing conclusion. For most albums, that would be the apogee, but several other tracks are just as aspiring. “Reading” is launched by just a handful of sung poetry, followed by Cohen’s own interpretation of the phrases on bass, and some crafty layering of clarinet, sax, trumpet and violin and vibraphone followed by a swinging solo turn by Melford. The other players return with the meticulously weaved score, a perfect balance of jazz and avant chamber music. Cline’s menacing guitar lurks just behind the front line, embedding yet another element into an eclectic mixture. “Care,” at least as it begins, is a pretty folk strain which suits Kihlstedt’s voice rather well. A syncopated motif led by Smith’s pliant rhythms makes up a key part of an arrangement perfectly fit the elegant, sophisticated melody that unfolds. That would be plenty good enough for this performance but Cline breaks out with some stinging blues phraseology just as Kihlstedt completes her final stanza. The whole package of these ten tunes culminates into the title song. After a delicate piano intro by Melford, Kihlstedt’s airy voice suddenly appears out of nowhere, repeating the line “The Orphic Machine is the poem: a severed head with face turned away that sings,” which may appear weird in print but the ingenuity lies in Goldberg fashioning music around these and other Grossman aphorisms in such a way that they don’t sound weird at all…and even makes perfect sense sometimes put in this context. The song proceeds in a quiet, almost chamber music manner until Cline’s signature Nordic rage takes over more than nine minutes in, leading a circular figure that recalls (but does not mimic) the extended coda of the Beatles’ “I Want You (She’s So Heavy).” It puts a raucous exclamation point on the album, a release that seemed to be building up and lurking for the entire project. And yet, totally unexpected. Allen Grossman, by the way, passed away just last year. Orphic Machine is a testament to the immortality of forward-thinking ideas that keep the soul of its originator alive after the body has passed. It’s also testament that a part of Grossman remains alive in Goldberg, who has sublimely assimilated so many disparate influences, and is able to distill them into a product he projects through his own, kaleidoscopic lens. 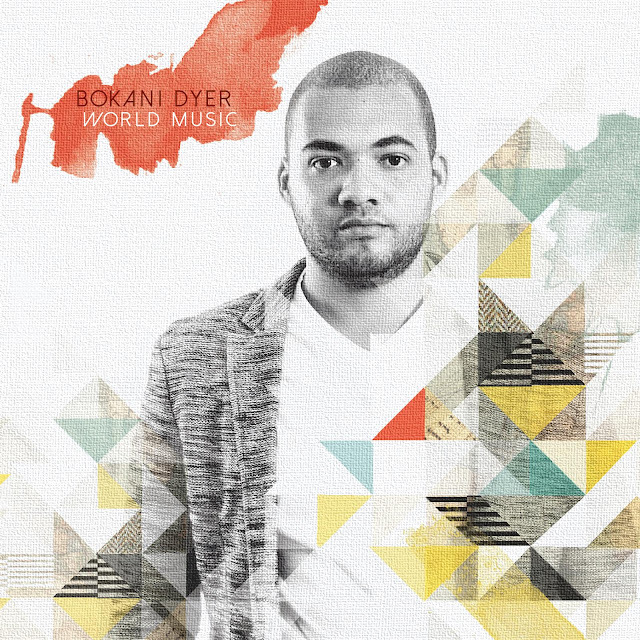 Brand new release by Bokani Dyer entitled "World Music" will be available from 1st July with the unofficial album launch at the opening of the National Arts Festival Jazz Program 2015. "World Music" is Bokani's 3rd recording under his own name. Some of the compositions have been developed over a period of 4 years, others are recently composed. The sound of the album is an expression of embracing all musical heritage and claiming the ambiguous term "World Music" to describe it. From Bach to Soul, to Ellington to Mbira music, no influence in Bokani Dyer's make-up is left unexplored. It is a colorful musical exploration of instrumental music which is as historically aware as it is currently conscious - a celebration of all music with no borders. of the high achievements of the period. parameters of classic Mwandishi. Even if that were possible what would be the point? 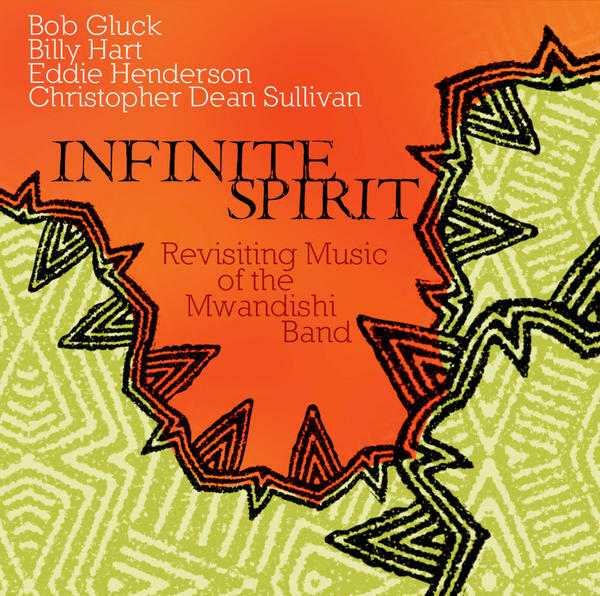 Know When You Get There," plus Maupin's "Quasar" paired with Gluck's "Sideways,"
Maupin's "Water Torture," and a Sullivan composition, "Spirit Unleashed." parallels and it adds much to the musical ambiance throughout. and subtle in his special driving ways. finest new jazz performances of last year. Thank you all for your continued excellence! 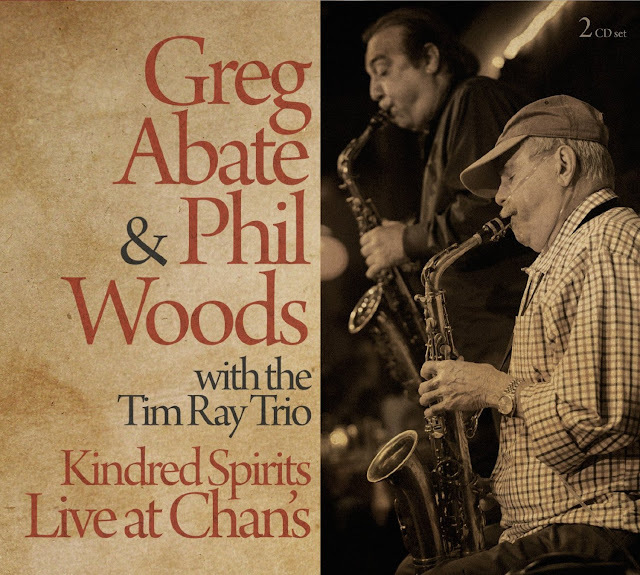 The legendary alto saxophonist Phil Woods' (1931-2015) health was failing at the time Kindred Spirits: Live at Chan's was recorded, but you never know it by listening to the crisp delivery, the vitality of a hot bebop band playing in the mode of the iconic altoist Charlie Parker. Saxophonist Greg Abate joins Woods in the front line, and the Tim Ray Trio backs them up. It's not a first teaming for Abate and Woods. 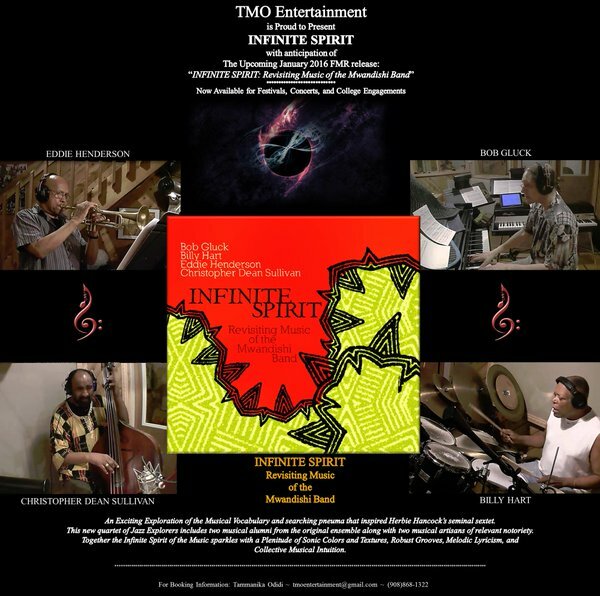 A student/mentor relationship exists there, and Greg Abate Quintet Featuring Phil Woods (Positone Records, 2012) is a testament to passion and energy the two saxophonists could conjure. So is Kindred Spirits: Live at Chan's. It's a two CD set, and the amount of the music presented is generous, the quality of the performance first rate all around. "Steeplechase," from the pen of Charlie Parker, opens the set. 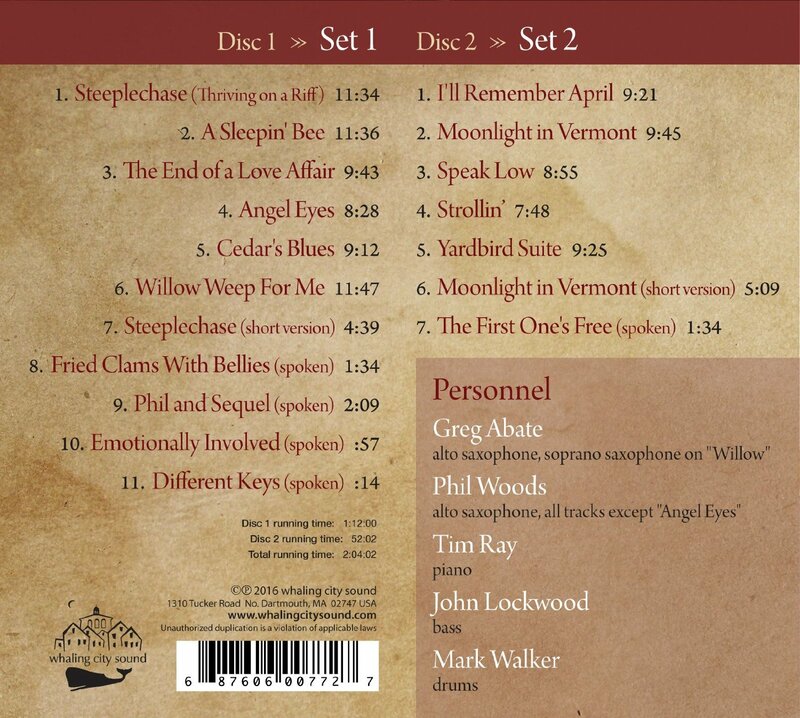 Another version of the tune closes the first disc, and CD 2 has the Bird's "Yardbird Suite." The pioneer's spirit looms with a smile over the proceedings. Abate and Woods truly prove themselves kindred souls. It takes a good ear to pick out who's doing the individual solos, though the personnel section in the accompanying booklet let's us know that Abate took the first turn on all but three numbers. 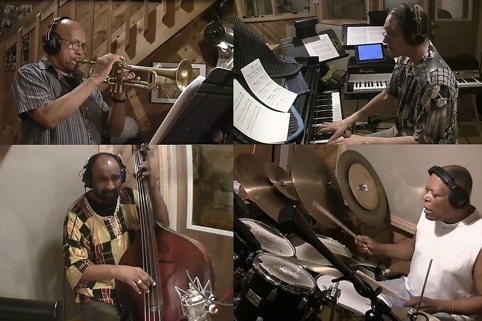 Both altoists are steeped deep in the bebop tradition, and both play with passion. 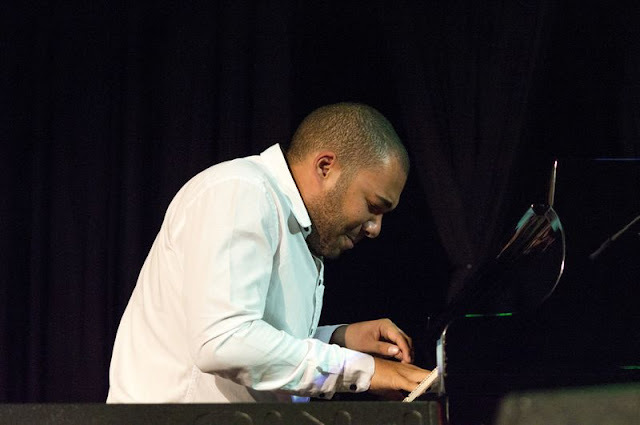 The Tim Ray Trio is impeccable, the pianist's solo slots full of fun and verve. This is a polished master class in straight ahead bebop, with it's lovingly rendered Parker tunes, and Standards like Harold Arlen's "A Sleepin' Bee," the classic "Angel Eyes," Horace Silver's "Strollin,'" a melancholy "I'll Remember April," and a spicy take of Kurt Weill's "Speak Low," with the sax guys sitting out and letting the trio shine. Phil Woods was a consistently joyful and inspired performer for more sixty years. Kindred Spirits: Live at Chan's is another gem in his discography. 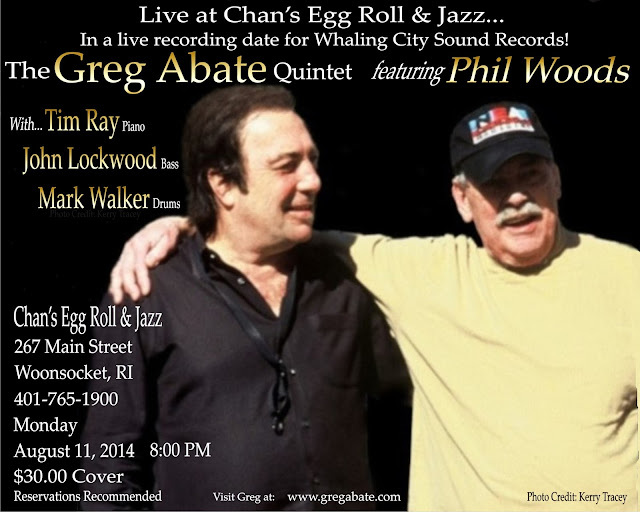 Greg Abate: alto saxophone, soprano saxophone on "Willow"
Phil Woods: alto saxophone. all tracks except "Angel Eyes"